Today, it’s easier than ever before for a patient to switch from one hospital to another. In fact, Stat reports that in a recent study, more than 50 percent of patients in a Medicare demonstration physician group practice changed providers during the five-year period studied. Losing patients can dramatically affect your bottom line — in fact, winning a patient back can cost up to 8 times as much as a new patient acquisition — so maintaining patient loyalty is essential for your organization. Many healthcare organizations are now constructing patient loyalty programs in an attempt to bring in more patients and keep them coming back. To build better patient loyalty programs, some healthcare organizations are now looking to loyalty programs in the retail industry for insights and guidance. Below are some of the insights healthcare organizations can gain from analyzing loyalty programs in retail. 1. Loyalty programs offer clear benefits for healthcare organizations. In the retail industry, businesses have learned that it is less expensive to maintain a relationship with an existing customer than it is to acquire a new one. The same holds true in the field of healthcare. 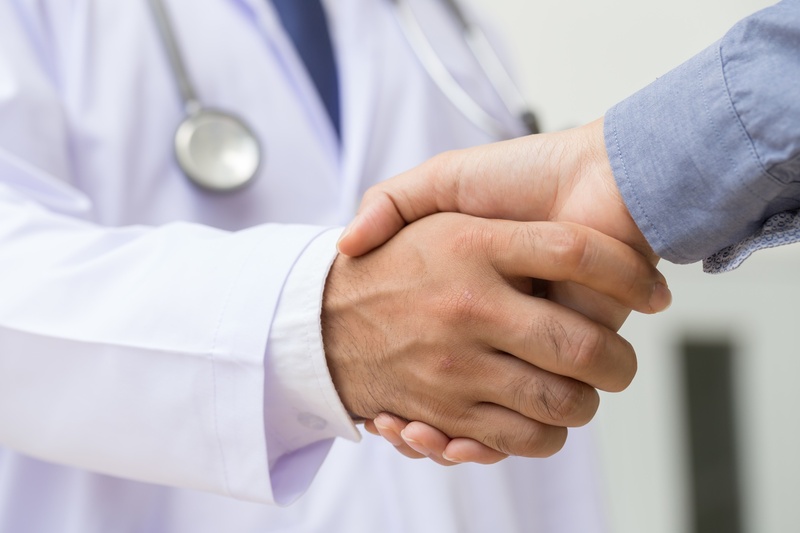 In addition, patient loyalty programs improve patient satisfaction levels, which can lead to a better reputation and a higher number of referrals for your organization. 2. Healthcare organizations need to offer the right type of incentive. In retail, businesses have learned that they must offer incentives that not only entice customers to do business with them, but that also are cost-effective and don't compromise the quality of their products or services. In healthcare, the concern is often that patients enrolled in loyalty programs will receive unnecessary care in order to benefit from the program's perks. Healthcare organizations can combat this concern by basing loyalty programs on the length or nature of the patient's relationship with the organization, or healthy behaviors and community advocacy, as opposed to how many times he or she visits. Healthcare consumer specialists c2b solutions studied incentives — and penalties — for healthy and unhealthy behaviors, respectively. While monetary rewards (e.g., discounts, premium allowances, etc.) were obviously popular, certain psychographic segments, such as the Willful Endurer segment, responded positively to charitable donations and community support programs. Not only does this promote healthy behaviors, but it also garners community support and goodwill. 3. Patient loyalty programs are not "too complicated" for your organization. When looking at patient loyalty programs in retail, such as the one offered by Starbucks, many healthcare organizations feel that creating their own similar loyalty program is simply too large of an undertaking. However, healthcare organizations don't have to start with such a large program. Instead, organizations can start small and gradually increase the reach and expanse of their program over time. 4. Patient loyalty programs can provide significant, measurable ROI. In any kind of business, ROI is always a concern. Some healthcare organizations are hesitant to launch patient loyalty programs because they fear these programs won't provide with enough return on investment to make them worthwhile. However, in other high trust industries, such as the financial services industry, businesses are already reporting a healthy ROI from these types of programs. It stands to reason that healthcare organizations could reap similar benefits from patient loyalty programs. 5. Automation can help you implement your patient loyalty program. Most retail businesses use automation to make loyalty programs simpler and more convenient for consumers, as well as to reduce the cost of implementing these programs. Healthcare organizations that want to launch patient loyalty programs can use the same type of technology for their own needs. Automating communication with patients is easy with a configurable, scalable patient engagement platform like PatientBond. Every communication (text, voice, email, app) is infused with psychographic segment-specific keywords and messaging designed to resonate with each patient’s core beliefs and personality, thereby motivating them to better manage their health and wellness — and keep returning to your facility for care.